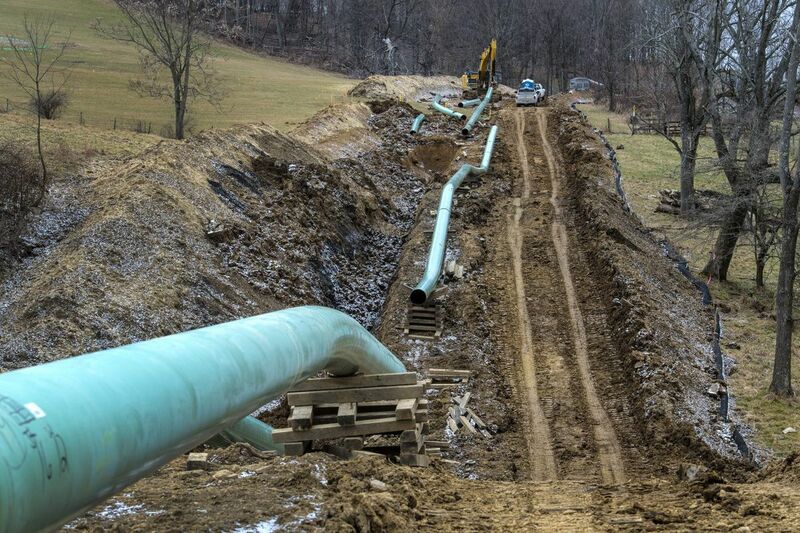 Workers install the Mariner East pipeline in Washington County, Pa. in 2017. This map shows the path that Sunoco Logistics Mariner East 2 pipeline will cut through Delaware County. Pipes for the Sunoco's Mariner East 2 pipeline await installation at Valleyview Road and Township Line Road in Exton. A spokesperson for Energy Transfer Partners could not immediately be reached Wednesday.